Tropfest is Australia’s most prestigious short film festival and one of its most iconic cultural events. It is also the largest short film festival in the world. Tropfest is recognised for its enormous contribution to the development of the Australian film industry by providing unique platforms for talented filmmakers through its events and initiatives, and new and expanded audiences for their work. The annual short film competition is open to anyone who wishes to enter – regardless of their background or experience. 16 Finalists are selected from an entry pool of an average 700 annual entries and compete for more than $100,000 in prizes. Past judges have included some of the best and well known actors and directors in the world including John Woo, Cate Blanchett, Samuel L Jackson, Baz Luhrmann, Geoffrey Rush, Sam Neill, Ewan McGregor, Jane Campion, Salma Hayek, and Gabriel Byrne. The massive expansion of Tropfest around the globe conveys a worldwide appetite for fresh storytelling voices. 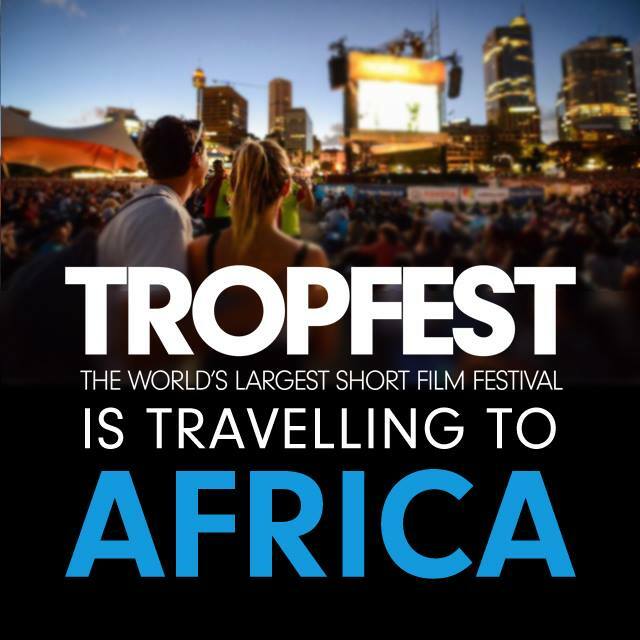 It is so exciting to have Tropfest travel to Africa. We know that there is an enormous community of storytellers in this region, and we hope to one day establish a local platform for these filmmakers – with a global audience to share their stories with. I am proud that Australia is supporting this important cultural exchange in the film sector, and hope that Tropfest will be well received by South African audiences. This festival forms part of a larger program of cultural and sporting events planned to coincide with this year’s 20th anniversary of democracy celebrations, which will showcase the strong and diverse Australia-South Africa relationship to the broader public. How can short film festivals provide a platform for talented young filmmakers?